Kelly earned a BFA in Art History and Music from Syracuse University. She began a lifelong career in education working with urban youth at the Rescue Mission. 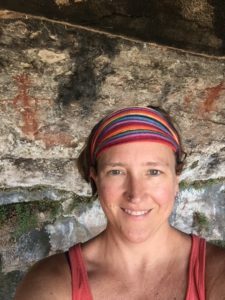 Over the past two decades, Kelly has worked with nonprofit organizations in the U.S., Honduras, Russia, and Costa Rica as an educator, advocate, fundraiser and program director. After teaching music, history, and Latin at a private school, she earned a Masters in Inclusive Special Education from Syracuse University while completing the prestigious Syracuse Urban Inclusive Teacher Residency. She taught at an inner city school in New York before moving to Colorado in the fall of 2015. Kelly has lived out her personal passion for music as a performer, voice teacher, choir director and has written and directed numerous musicals for young people. In her free time, Kelly hangs out with her six children playing and coaching soccer, having dance parties in the kitchen and exploring Colorado. 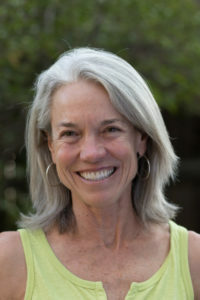 Leslie brings a Master of Arts in counseling and 30 years experience in counseling and education to September School. She focuses on genuine, authentic and trustworthy relationships. Leslie creates a safe, open atmosphere for students to freely discuss their thoughts and feelings in both one-on-one sessions and larger gatherings. 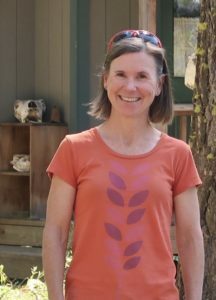 In addition to providing support to our students, Leslie teaches classes such as Mind-Body Wellness and Group Class to promote positive growth, stress management, and well being. While our students navigate the turbulent teen years, Leslie offers support and encouragement and works with students’ parents, guardians, and therapists to better understand and assist our students. 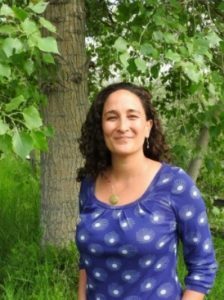 Eve Halpern has a Masters degree in Clinical Mental Health Counseling Transpersonal Counseling Psychology: concentration in Mindfulness-based Transpersonal Counseling from Naropa University in Boulder, Colorado. She has previous degrees from Tulane University in New Orleans, where she completed a BA in Spanish and Gender Studies, and from the New School for Social Research in New York, N.Y, where she received her first Master of Arts in Liberal Studies. Eve is a dauntless advocate for students and combines compassionate presence with fearless action. She brings her training as a Mindfulness Instructor to her counseling work and to her classes. As a present-centered and strength-based practitioner, Eve tends to see the best in others, and particularly in adolescents. In her roles as educator and counselor, Eve has run leadership camps, led rites of passage programs, taken students on trips abroad, and worked in university settings as both a teaching assistant and as a professor. Prior to supporting students through counseling, Eve taught Spanish and humanities in the classroom for over a decade. Eve has extensive experience working with adolescents, children, and families. When she is not serving the September School community, Eve runs a small private practice.She is fluent in Spanish and has lived abroad in both Mexico and Spain. Eve enjoys the creativity of her position and the deep connections she gets to form with students. 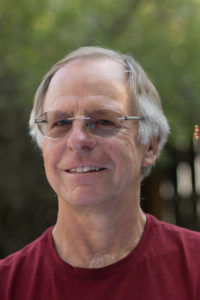 Dan carries a Bachelor of Science in Traditional Mathematics from George Mason University along with many years as a tutor and assistant teacher in mathematics. 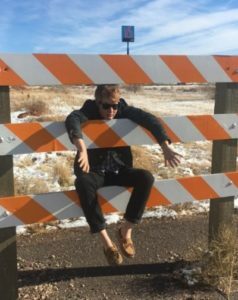 Dan’s diverse interests and advanced knowledge also enable him to tutor students in a wide range of other subjects including science, Spanish and SAT and ACT prep. His contributions play a key role in helping keep students stay on track and succeed academically. 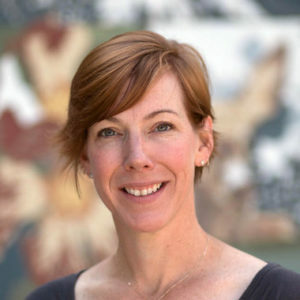 Angela Beloian received her Bachelor of Fine Arts in Studio Art from the University of California, Santa Barbara and has exhibited her work throughout the United States. Her paintings are included in public and private collections and her work has been displayed on the exterior of the Performing Arts Complex in Denver, Colo. She served on the Visual Arts Committee for the Dairy Center for the Arts in Boulder and the Teacher Advisory Committee for the Boulder Museum of Contemporary Art. 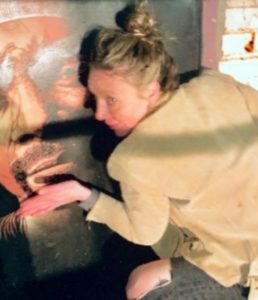 Her involvement in September School includes teaching Studio Art and Yearbook as well as leading students on trips to Santa Fe, Chicago, and Patzcuaro, Mexico. Angela also leads our Visiting Artist Program. 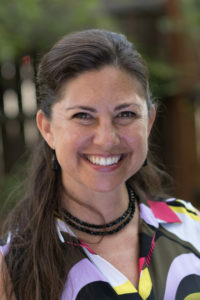 Liz Rhodes earned her Bachelor of Arts in English Language and Literature from the University of North Carolina at Chapel Hill and completed her Masters in Education at the University of Colorado Boulder. Prior to finding a home at September School, Liz taught secondary English in St. Vrain Valley School District and in Mapleton Public Schools. Liz chose to teach English because she believes studying literature has the power to help readers contemplate diverse points of view and explore new ways of viewing and living in the world. While she believes that the ability to read and write effectively is crucial to students’ future success, Liz’s primary reason for becoming a teacher is to be a positive, reliable, and deeply caring presence for students fighting through difficult school years. She loves teaching at September School because of the community’s focus on meeting each student where they are and because of the close, genuine student-teacher relationships. In addition to teaching, Liz loves to travel, read, and go on outdoor adventures with her dog. Eitan earned his undergraduate degree in liberal arts at St. John’s College, the nation’s third-oldest school. He lived in Israel, where he had the opportunity to solidify his understanding of Hebrew. 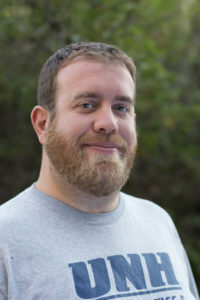 Eitan pursued his interest in teaching by working first at The Santa Fe Children’s Museum and then at a Boys and Girls Club in Portland, Oregon. 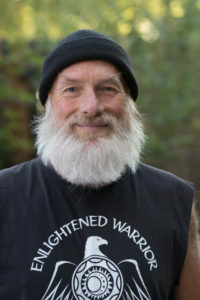 He gained critical tools to become the best teacher possible by earning his Masters in Teaching at Lewis & Clark College. 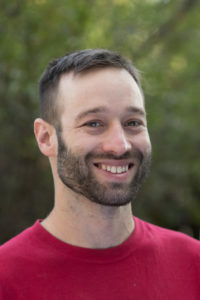 Since then, Eitan has returned to his hometown of Boulder and spent five years teaching in the public school system including three years in the Boulder Valley School District. After earning her Mathematics and Secondary Education degree from CU, Melita went straight into teaching High School in Boulder. Her favorite classes to teach are Algebra 2 and Pre-Calculus, with Arts and Crafts close behind. Melita's experience with diverse students in alternative settings makes her a great addition to the September School community. 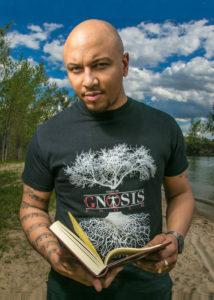 (G)nosis is a celebrated artist using the abundance of his time and talents to change the world. He has worked extensively in the entertainment industry and with nonprofit organizations. Kat Hodges is an educator, designer, and artist. She graduated from Colorado College with degrees in English and Fine Art and holds an MFA in Studio Art from the Rhode Island School of Design. 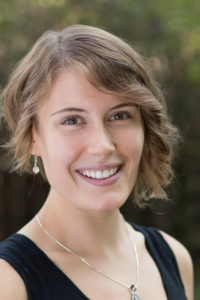 Kristina has worked at a variety of different educational settings, from a semester program for sophomore students to middle school Spanish, and enjoys seeing students make connections, both in terms of language and also culture. Kristina earned a Bachelor's from Davidson College and a Master's from Penn in Hispanic language and literature. She has found working with students both in and out of the classroom to be most rewarding, as she can see them grow both academically and experientially. 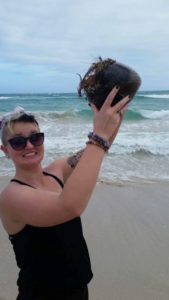 Megan is a student at the Metropolitan State University of Denver, finishing her degree in Human Services with a concentration in high-risk youth. She has worked in supporting diverse children in many different capacities, from teaching preschool students facing homelessness, to being as silly as possible with youth diagnosed with cancer at summer camp. Her passions involve celebrating all children and encouraging growth, as well as traveling, and comparing other countries models for mental health care, and synthesizing best practices from all over the world.